Get ready to mark your calendar — you could have Friday lunch plans for the next year! 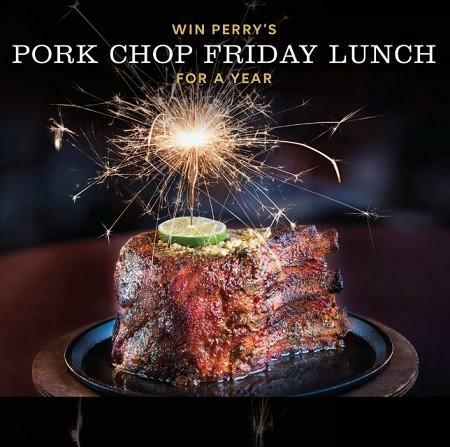 To savor 40 incredible years, Perry's is hosting three giveaways throughout 2019, with one lucky winner receiving 52 Pork Chop Friday Lunch gift cards during each contest. It’s easy to enter: Make sure you’re following us @PerrysDining on Facebook and @PerrysSteakhouse on Instagram, then share your well wishes, most memorable Perry’s experience or favorite menu item along with #PerrysTurns40. For additional information and restrictions click here.